2L Short Path Distillation Kit with P2 Distillation Head - ON SALE! - FREE Shipping! 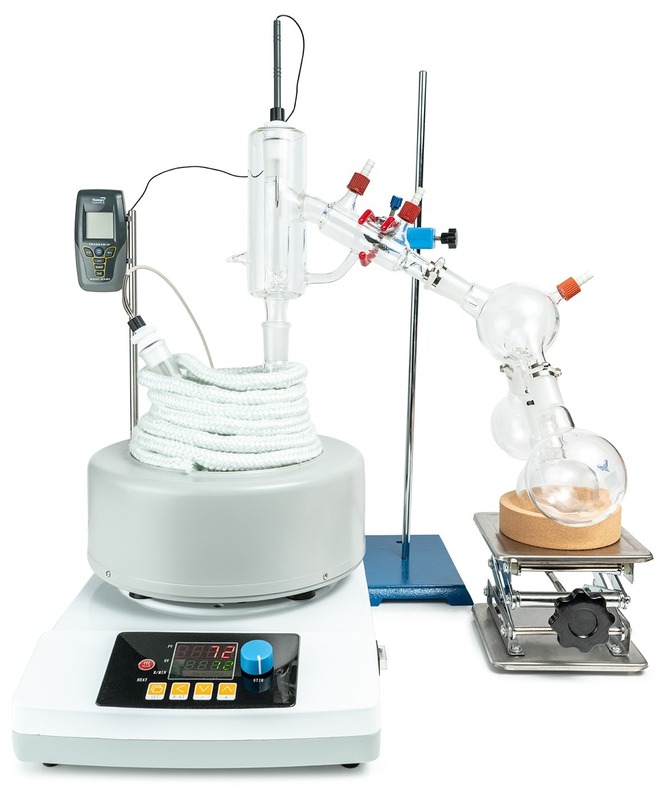 The 2L Distillation Kit w/ P2 Distillation Head includes everything needed to perform distillation excluding the vacuum pump and chiller. This kit features our USA made P2 Distillation Head as well as USA made glass. It is designed with ease of use in mind and includes the highest quality components to ensure results are repeatable time and again.